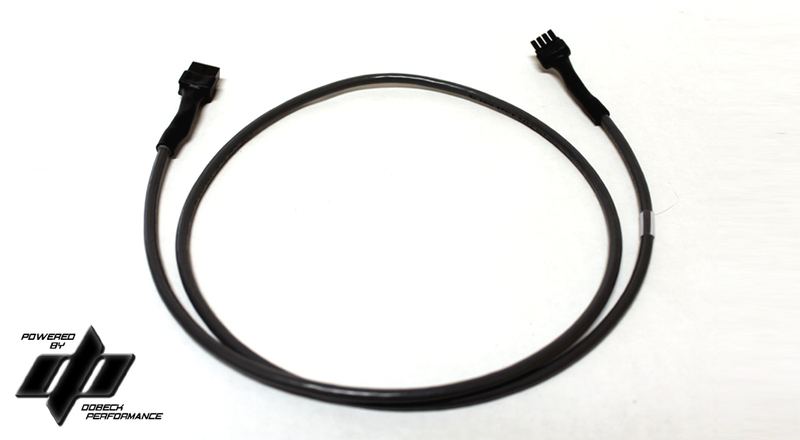 All Side x Side applications come with a standard nine (9) feet of gauge cable. One (1) foot comes out of the DP Wideband controller, one (1) foot comes out of the AFR gauge and a seven (7) foot extension is included. This is usually long enough to reach the dash on the driver's side. If you want to mount the AFR gauge up the rollover bar or towards a ceiling compartment then an extension cable will be required. At least a 39 inch extension cable is recommended for all 4-Seater Side x Side applications.